The question: How would you know whether your purchase of green power contributed to turning down the spigot of fossil fuels? To answer this question, we need to take a step back and review a couple of others. How does "making the switch" to renewable energy work? Why is the market for renewable energy so unique in Massachusetts and Rhode Island? Try thinking of our New England electrical grid as a huge bathtub for electrons. Power plants and generators in the region pour electrons into the bath, and once in it, they become indistinguishable from the others. From there, the utility companies distribute small amounts to consumers whenever we need to turn on appliances. Because electrons move according to physics, it's impossible to know where your electrons came from, unless you're generating and using them onsite. The composition of the bath (grid) is tracked through a central database maintained by our grid operator, ISO New England, through their Generation Information System (GIS). You may receive a disclosure label from your electricity supplier or utility, showing what's in your mix — everything from 1% coal, to 5% hydro, to 10% nuclear for example. This is based on contracts for the sale of specific electricity into the bathtub as a whole (tracked through the GIS), not on what physical electrons actually came to your home. "I want to make sure that some of my electricity is coming from coal," said no one ever (at least, no one outside of the coal industry). In real world terms, we know we can’t run wires directly from wind turbines like the ones in Gloucester, MA directly to our homes. Once those electrons have been added to the grid, the only way we know that they came from Gloucester's wind turbines is the Renewable Energy Certificate (REC) that ISO New England tracks in the GIS for every megawatt hour (MWH) of energy produced there. 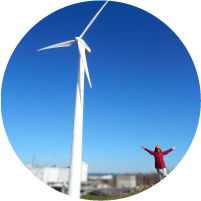 RECs represent the electrons in a specific MWH, and list the generator, its location, date, emissions, and the type of generation (wind, solar etc). And they allow the buyer to lay a claim on the electrons they represent. If you want to use green electricity, you need to buy or produce RECs. This even applies to your home solar system–if you sell the RECs, someone else gets the right to claim they are solar powered by your system (more about that topic here). A renewable energy generator can sell both its electrons and its RECs separately. This gives developers of renewable energy an additional stream of income from the RECs. In some states, developers rely on REC sales to make projects viable. In others, the sale of RECs is not important to the developer's bottom line, and do not factor into the decision to undertake a renewable energy project. Hence, our next topic. There are many factors in play that influence whether or not RECs are crucial to renewable energy development, but state policy and land resources are two of the biggest. Though we cannot dissect every state in the nation in this blog, we can tell you that New England is one of the only places in the country where REC sales are crucial to developers. See the chart below. New England states, particularly Rhode Island and Massachusetts, have created a market for wind and solar RECs through renewable energy policies by requiring utilities to buy a certain number of specific "Class 1" or "new" RECs to serve us. Class 1, or "new," RECs come from renewable energy facilities commissioned since 1997, sited close enough to feed into New England power grid, and emitting zero or limited carbon emissions. 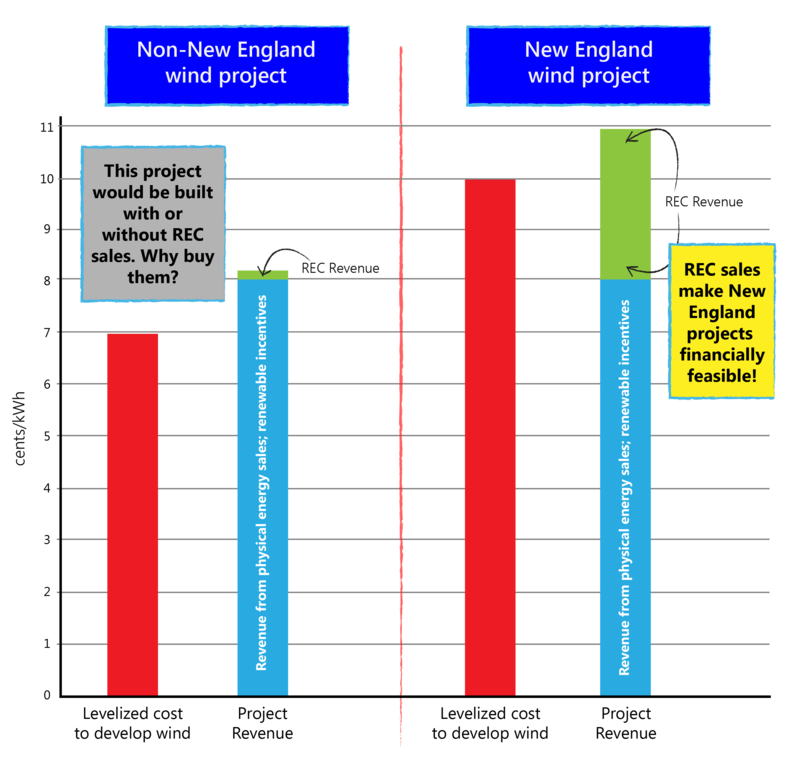 This attracts development in New England, and so, by law, utilities are already helping develop renewables. But the pace is not fast enough. We need more renewable energy than state law requires in order to save the planet, protect public health, and create jobs. This is where voluntary purchases come in, but you must be discerning. So are you getting greenwashed? We know of many companies that claim to sell consumers and communities green power, but they are sadly cutting corners on impact. They do not restrict their offerings to Class 1 or "new" renewable energy; after all, that kind of renewable energy is more expensive. Most "green" electricity supply products offer relatively inexpensive "national" RECS instead, which may come from anywhere in the country. That's ok, but here's the part to be wary about: these RECs usually come primarily from projects that didn't need to sell them in order to make the project viable in the first place — which means they don't need your money. It also means if you give them your money, you're doing nothing to help shut down fossil fuel plants in our region, or anywhere else. Wouldn't you rather buy something that makes a difference? Green Energy Consumers is a mission-driven non-profit. Through our green power program, we sell Class 1 or "new" RECs to those who want to voluntarily buy them. 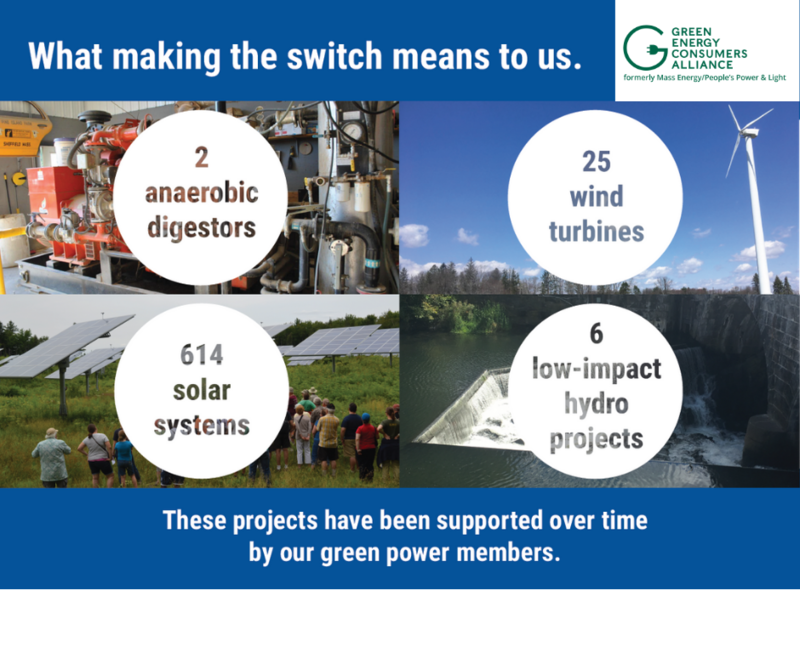 We've concentrated our efforts on allowing individuals to make the switch to green electricity, but have also recently been helping whole communities go greener through a process called Green Municipal Aggregation (GMA). With your new education, we hope you feel equipped to answer the question: How would you know whether your purchase of green power contributed to turning down the spigot of fossil fuels? As a reminder, here's the cliff notes: If you want to make a difference, look for Class 1 (in MA) or "new" (in RI) renewable energy. Also, don't be fooled if suppliers tell you they have it; ask how much. Most likely, they only do what they're required to do by law.